GREAT SPECTACULAR VIEW OF LAKE! Enjoy a great sunset view from your own mountaintop! $ 202,500.00 This 43 Acres+/- (to see map of 43 Acres+/-) is located just under an hour outside of Birmingham! It includes an unbelievable view, of Logan Martin Lake, in two different directions, 150 year old trees, and access to the lake! 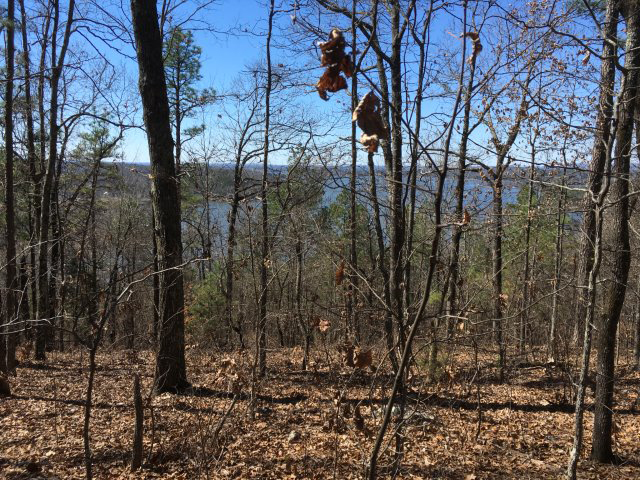 Additional 1.21 to 2.71 Acres+/- tracts, not on the crest, but still have a nice view of the lake and which have paved road frontage for only $11,500 and up. From Birmingham via Highway 280 - East to Harpersville, turn left onto Highway 231 and go approx. 8 to 10 miles then turn right onto County Road 54 (Logan Martin Dam Road). Go approx. 4-5 miles on County Road 54 - cross over Logan Martin Dam and go until you come to the first stop sign which will be at the intersection of County Road 54 and County Road 191, then take a left and go approximately 3 miles and take your first left after crossing over the lake (Clear Creek) where you should see a sign pointing to Clear Creek Harbor Marina. Go approximately 1 mile and Lakeridge Lane will be on your right. From Atlanta - Take Embry Crossroads Exit 207 off Interstate 20, go south approximately 20 miles and take a right on Highway 191 (Renfro Road), then go approximately 2 miles and take a right (at the Clear Creek Harbor Marina sign) onto Willingham Road. Go approximately 1 mile and Lakeridge Lane will be on your right. Turn onto Lakeridge and the property will be approximately 1/2 mile on your right.